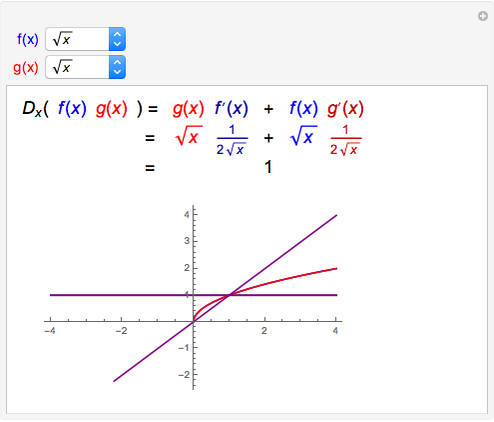 If and are both differentiable at , then the derivative of their product at is given by the product rule shown above. 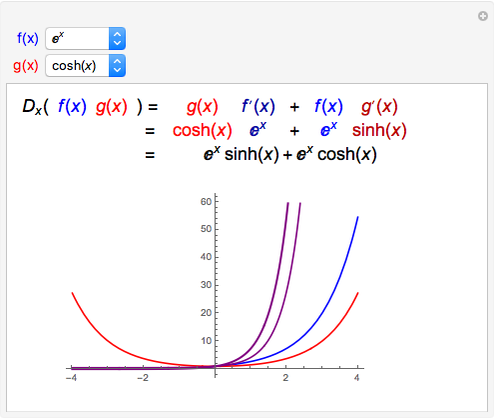 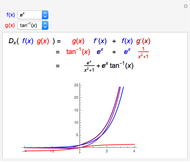 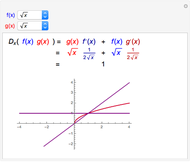 On the graph, is blue, is red, is purple, and the derivative of is thick purple. 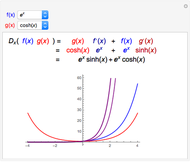 Chris Boucher "The Product Rule"